Ford and its fast-car partner Ford Performance Vehicles remain tight-lipped about a possible takeover. Rumours on enthusiast web forums are rife with speculation that Ford will take FPV’s operations in-house next year following weaker than expected sales of the supercharged Falcon. 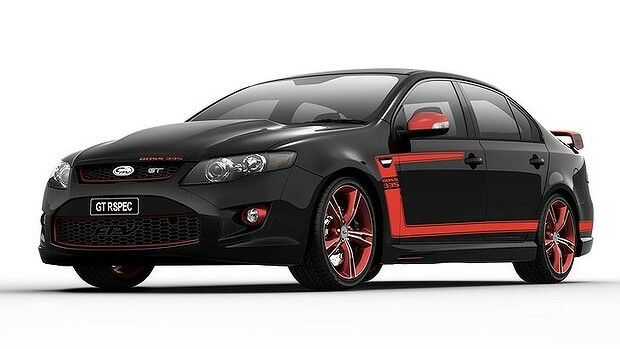 When FPV released the most powerful Falcon GT of all time in October 2010, the then boss of the company Rod Barrett forecast FPV would match or outsell Holden Special Vehicles “sedan for sedan”. However, 18 months on, although the supercharged GT range has helped deliver sales growth for the fast Fords, FPV cars are still selling at less than half the rate of HSV. According to sales figures for the first seven months of 2012, HSV has sold 1578 cars versus FPV’s tally of 770 for the same period. It’s a similar story in New Zealand, where HSV has sold 85 vehicles year-to-date compared to FPV’s tally of 32 deliveries. The managing director of FPV, Bryan Mears, told Drive he was “absolutely delighted” with his company’s sales performance in recent months – but conceded there were higher expectations for its supercharged Falcon. “Based on where we were 12 months ago, I would have liked to sell more cars. “[But] against a backdrop of a lot of doom and gloom for Australian manufacturers, I’m very happy with the way we’re going at the moment. “In terms of matching HSV ... I’m disappointed we are not seen as the pre-eminent performance vehicle of its type in Australia. “I respect what HSV do, I believe that HSV and FPV are natural competitors. I don’t know whether HSV believes that. But that’s a matter for themselves. Currently, Ford owns 49 per cent of FPV while Prodrive owns 51 per cent – but Ford has a stronger influence in the partnership because FPV cannot engineer a vehicle that does not meet Ford’s global quality, durability and engineering standards. FPV had its second round of job cuts in two years in May, which Mears said was crucial to “right-sizing” the business to match demand in a “toughening market”. FPV now has 40 staff, he says, Prodrive Australia has 20 staff. When asked if the rumours were true, that Ford was considering taking FPV in house, Mears told Drive: “We certainly have to see what Ford want to do in the future, but I’m not at liberty to discuss what they’re doing and we’re doing in the future. Drive understands that if there were a change of ownership of FPV, the cars and the brand would remain. It is also understood the $36 million development cost of the supercharged V8 was designed to be recouped over 10 years, up to 2020. But whether there will be a Falcon for the supercharged V8 to go into by the end of the decade remains to be seen. So far, Ford Australia has not confirmed the future of the Falcon beyond 2016. “We spent $36 million on this engine and it’s two years old. If you think we spent that money to throw it away after two years or three years or four years, you’re crazy. You wouldn’t do it. And not only that it took a board of directors meeting to confirm all that. It is understood FPV was investigating the possibility of exporting its supercharged V8 to the US for the Mustang. However those plans appear nixed as Ford in Detroit has its own development plans for high-powered V8. At least Mears was able to clarify one thing: where the code name “Miami” came from for the supercharged V8 engine. ahhhhh Ford. Content to make an amazing vehicle, then do 4/5ths of f**k all to sell any. 38 mil on developing and engine that's still too damn small.